On the lower level of Chadstone you can find everything you need to make your home a better place. 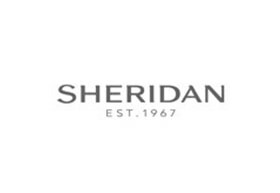 Sheridan is loved and known across Australia and the world over for the elegance and grandeur they bring into the things of everyday life, such as bed linen, bath towels, tablecloths, loungewear and home accessories. Sheridan continues be in tune with the spirit of Australia, capturing the unadulterated beauty of the great outdoors Down Under. In its Sydney studio, both upcoming and established artists produce unique, hand-painted designs that go into Sheridan's range of fabrics. These then go through the hands of some of the best craftsmen in Australia, who take great pains in their work, and after they are done, an even more meticulous quality team does their job to ensure that it meets the highest standards in the industry that they know of - their own.